More than 100 flights have been cancelled as French air traffic controllers strike again. Several airlines have been affected, including Ryanair, easyJet and British Airways. 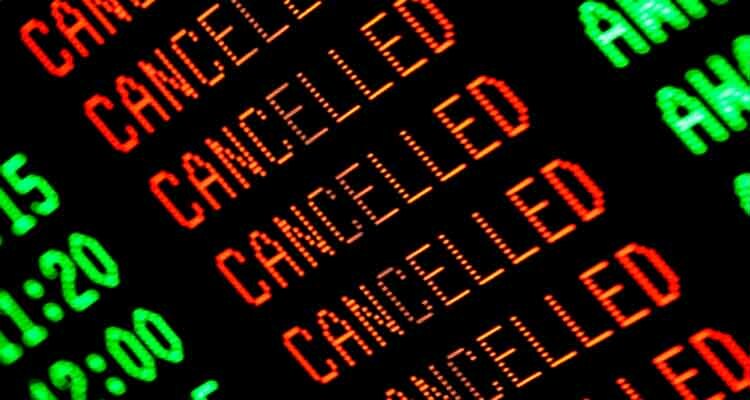 Ryanair said it was ‘forced’ to cancel 22 flights on Wednesday night and 72 on Thursday as a result of the 14th French ATC strike this year. The Dublin-based carrier warned passengers that further delays were likely. Robin Kiely, head of communications at the airline, said: ‘It’s reprehensible that Europe’s consumers repeatedly have their holiday and travel plans disrupted or cancelled by the selfish actions of ATC unions, who use strikes as a first weapon rather than a last resort. ‘This French air traffic controllers strike will impact hundreds of thousands of European consumers and throw their travel plans into chaos once more. EasyJet has also cancelled a number of its flights. In a statement issued to MailOnline Travel, the airline said: ‘Due to a French Public Services strike including Air Traffic Controllers on 15 September, easyJet, like other airlines flying to and from France has had to cancel 64 flights, including 22 which fly to or from the UK. We are also expecting other flights to experience delays. ‘EasyJet is disappointed at this unnecessary strike action causing further disruption for passengers and airlines across Europe. ‘As a member of Airlines for Europe (A4E), we are working with other airlines including Air France KLM, Finnair, International Airlines Group (IAG), Lufthansa Group, Norwegian and Ryanair, to call on governments and the EU to develop an action plan to minimise the impact of the air traffic controllers strike on passengers. ‘As well as affecting flights to and from France, the strike action is likely to cause delays to other flights which use French airspace. British Airways flights will be affected as well and has urged customers to check its website for the latest information. The airline has offered customers due to fly to or from France on Thursday the opportunity to rebook as some flights will be cancelled. The carrier will use large aircraft where possible to enable passengers whose flights are cancelled to reach their destination. A British Airways spokeswoman said: ‘Yet again the French air traffic control trade unions are causing unnecessary frustration and disruption for customers. Lobby group Airlines for Europe (A4E), which represents airlines such as easyJet, Ryanair and British Airways’ parent company IAG, has called for the European Commission and governments to take action to reduce the impact of ATC strikes. The organisation wants neighbouring countries to be allowed to carry out ATC in airspace affected by industrial disputes. The ATC strike is expected to take place from 5pm UTC on September 14 until 4am UTC on September 16.